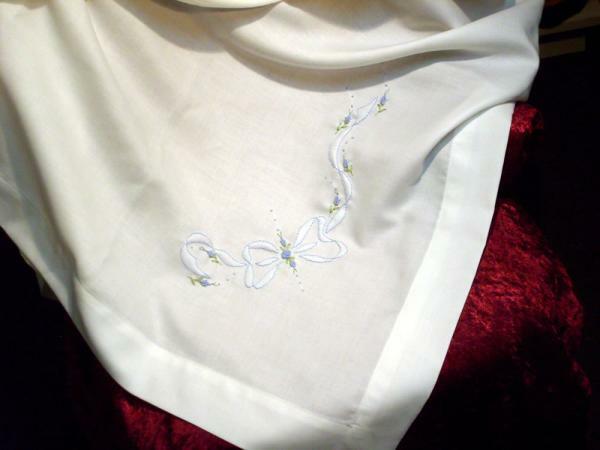 Janet's gorgeous embroidered babywear has been popular for many years. 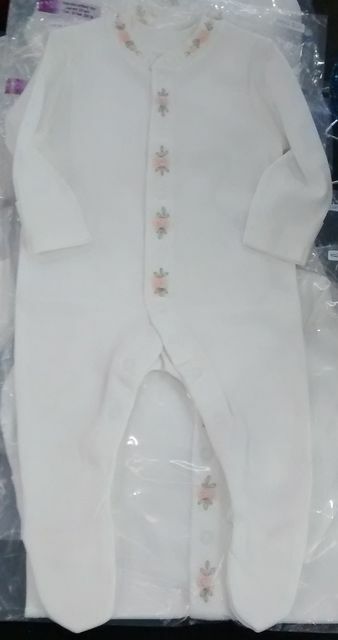 She decorates baby suits with grub rose or rabbit designs, in a wide range of popular pastel colours. 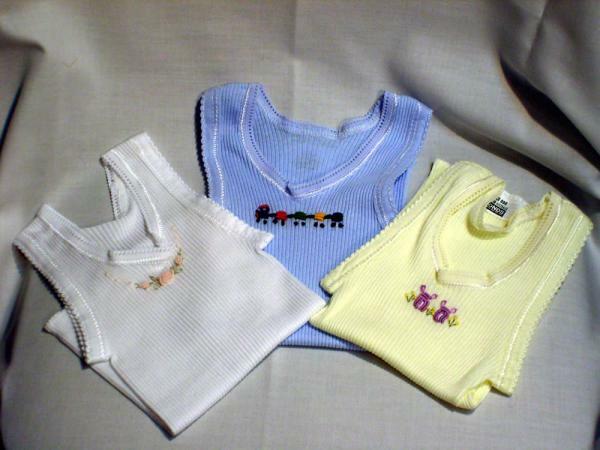 She also embroiders singlets, bibs and socks. She uses ribbon embroidery to decorate cuddlies. For adults, she makes practical, large aprons - perfect for the barbecue. 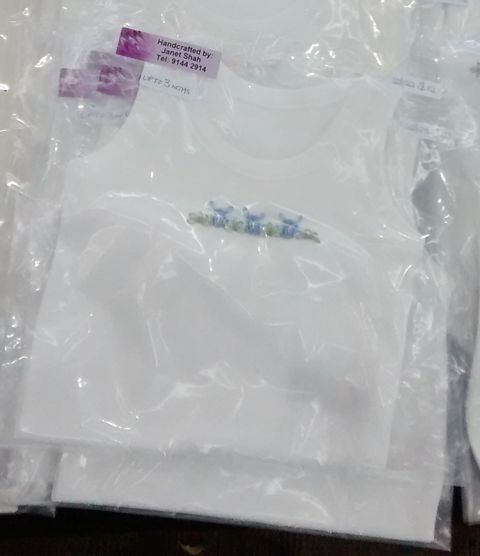 Cotton embroidered singlet for babies. Comes in sizes 000-1.